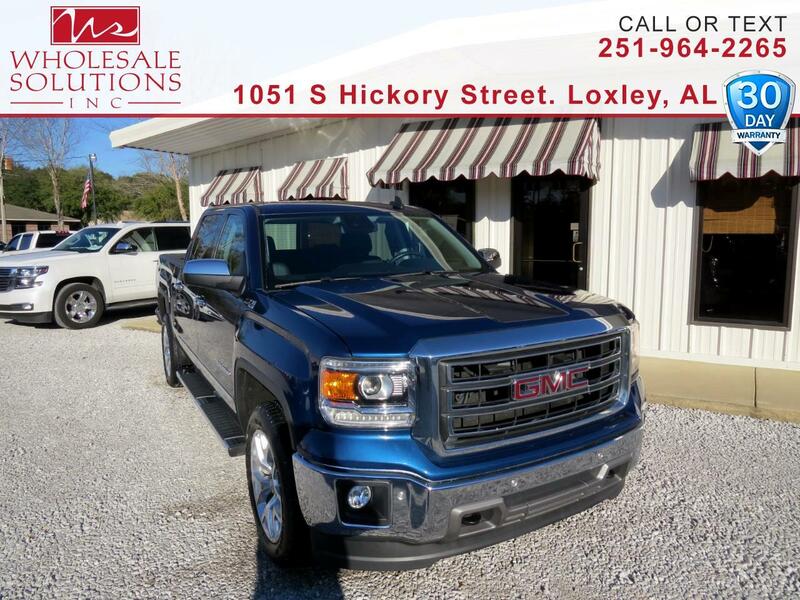 Used 2015 GMC Sierra 1500 4WD Crew Cab 143.5" SLT for Sale in Loxley AL 36551 Wholesale Solutions Inc.
CARFAX One-Owner. *** DEALER WARRANTY ***, ***Financing Available***, ** Low Miles **, *** Low Payments ***, *** MANUFACTURE WARRANTY ***, Navigation, Sunroof, ABS brakes, Chrome Door Handles, Compass, Dual-Zone Automatic Climate Control, Electronic Stability Control, Front dual zone A/C, Front Frame-Mounted Black Recovery Hooks, Heated door mirrors, Heated Driver & Front Passenger Seats, Heated front seats, Illuminated entry, Low tire pressure warning, Power Adjustable Pedals, Power Folding & Adjustable Heated Outside Mirrors, Rear Vision Camera w/Dynamic Guide Lines, Remote Keyless Entry, Remote keyless entry, Remote Vehicle Starter System, Single Slot CD/MP3 Player, Traction control, Trailering Equipment. Odometer is 38924 miles below market average! Priced below KBB Fair Purchase Price!